If you’ve ever watched a feather fluttering and dancing in the breeze you know just how hypnotic and calming this can be. You are transported into a peaceful place where your thoughts can meander. Feathers are beautiful complex little structures, they fascinate. The form is depicted in artwork, in fact feathers can be and have been used to create art work having been used as an early writing tool. Practical and useful we are all familiar with the warmth of a Feather duvet, the words that come to mind are cosseted, comforted and cuddled. If you are sitting comfortably, maybe huddled beneath a comfy feather duvet and dreaming of your next home makeover, let us begin. We will take you on a journey of inspiration. You’ll see lampshades coming to the fore partly because they look lovely but mainly because they soften and diffuse harsh light. Lampshades will wrap around, perch aloft or totally envelope light bulbs changing the feeling of a room subtly. 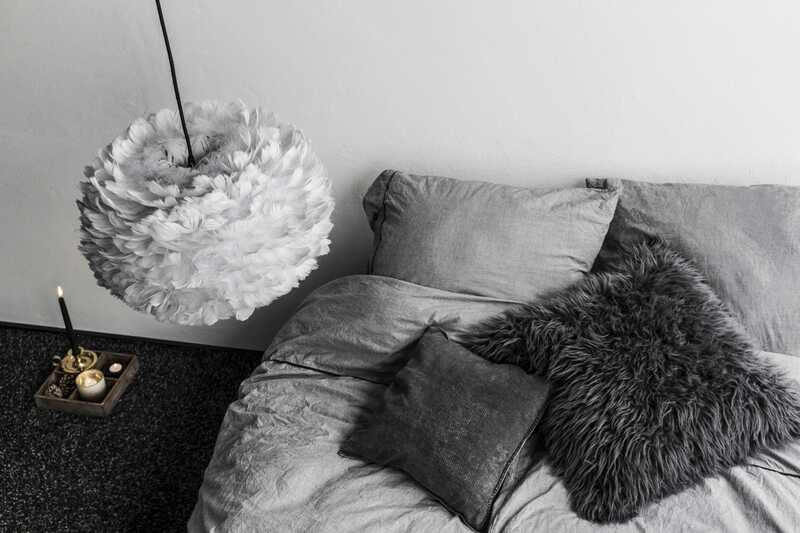 Softness is the key here, hard metal lights will be accessorised with feathers, fringes, and folds of fabric. Dressing your home like you’d dress a supermodel. It’s not all about what you show it’s about what you cover! Adding soft lamp shades into your home decor brings another dimension. Apart from the soft welcoming ambiance that’s gained from soft lighting, a well chosen lampshade brings something a little unexpected. It allows you to play with light and shade creates patterns too. This brings something really special, character? Not quite no, that’s not the word. Tactile? A haven? No, it’s that feeling, it’s not tangible but there none the less. Like a singer has soul. Like…. oh so hard to find the word. Like when you fall in love and feel safe at the same time it’s that flutter of excitement when you know this is so right. ‘Flutter’ that word again that brings me back to the one of the most eye catching light shades you could ever imagine. The feather lampshade ‘Eos‘ is fabulous, bringing style effortlessly, you may think slightly whimsical until you see it. It’s so soft, cloud like and dreamy it would be a natural choice for bedrooms, living rooms, hallways and, well, anywhere excluding a kitchen or bathroom. You can use this as a table lamp shade, ceiling shade or add a stylish pendant to create a unique look all of your own. There’s a soft grey and a pure white in various sizes. Price £84 and £199 depending on size. These are large statement Light shades. If you’d like to bring this look into your home opt for lights that have soft colours texture these may include lights with added layer of shade over the light source here a few examples. 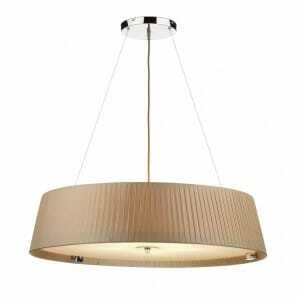 Soft Pleated shade gives a lovely ambient light, ideal for living rooms or contract applications. 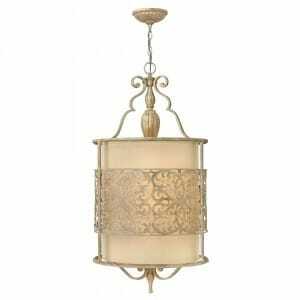 Elegant pretty light with soft textured detail. All beautiful but the feather lampshade is the one that really captivates me. Just love feathers, feathers blowing in a breeze so pretty. Random thought do you remember the opening of Forrest Gump with the feather and again at the end? Or are you more a Harry Potter fan and ‘Wingardium Leviosa’ the levitation charm is more your speed? 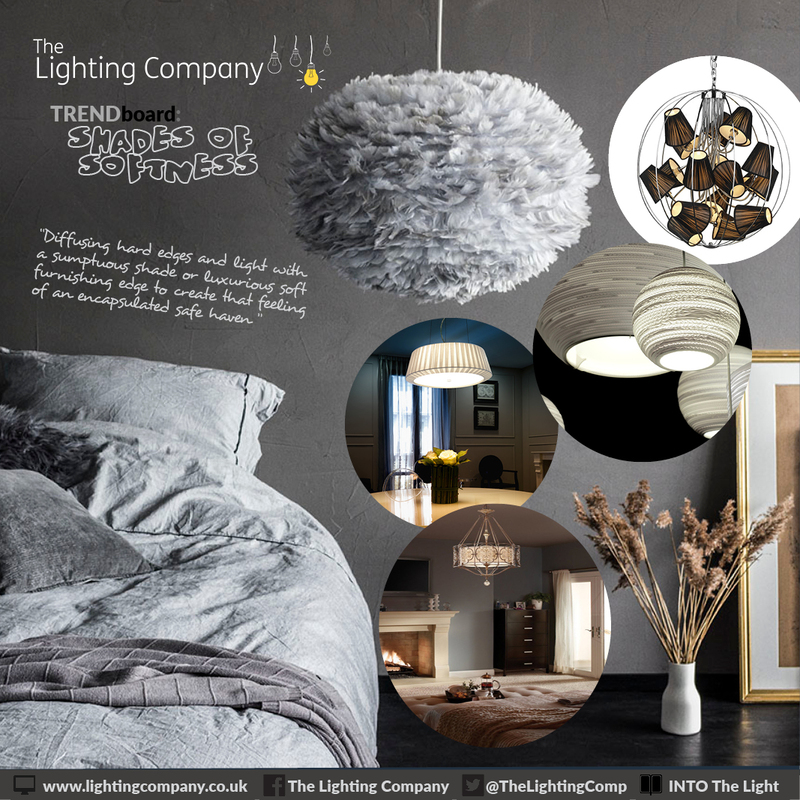 You can perhaps let us know in the comments section below or @TheLightingComp to tweet us, oh I’ve wondered off my point slightly, the feather lampshade is dreamy magical and super soft. A perfect light for your next home make over. It’s on my wish list! Next → Next post: WiZ and IFTTT – A What, Why and How. 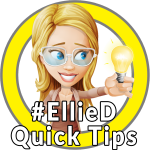 Be Smart, Control Lighting from your Phone and More!